This is a question that I get a lot and my response is often surprising to many of my clients. Is mayo healthy? It absolutely can be! I have to admit, one of my FAVOURITE things about my job is teaching people how to make SIMPLE swaps in their food choices that will have a big impact on their overall health (ex. 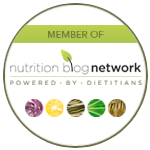 changing sweeteners, swapping cooking oils, condiments, etc.). Today I’m going to share one of those swaps with you! One thing that I absolutely HATE is that the really healthy choices in the grocery store are typically SO much more expensive than everything else. The awesome thing about today’s post? I’m going to give you an option that is arguably HEALTHIER and CHEAPER than the top of the line version from the health food store. 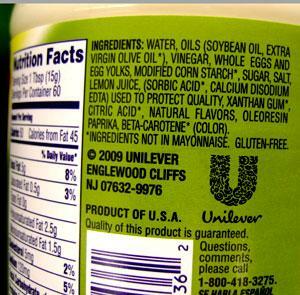 This is the front of the mayonnaise that claims to be “made with olive oil”. Why do these companies use other oils as well? Because healthier oils like avocado and olive oil are much more expensive than soybean oil and canola oil and in order to keep the cost low, the company must use these cheap oils as fillers. Healthier brands of mayonnaise do exist and luckily, we can find them on the shelves at our local grocery stores! Unfortunately, the price point is quite a bit higher than I would like to spend (usually about 3x more than “regular” mayonnaise). 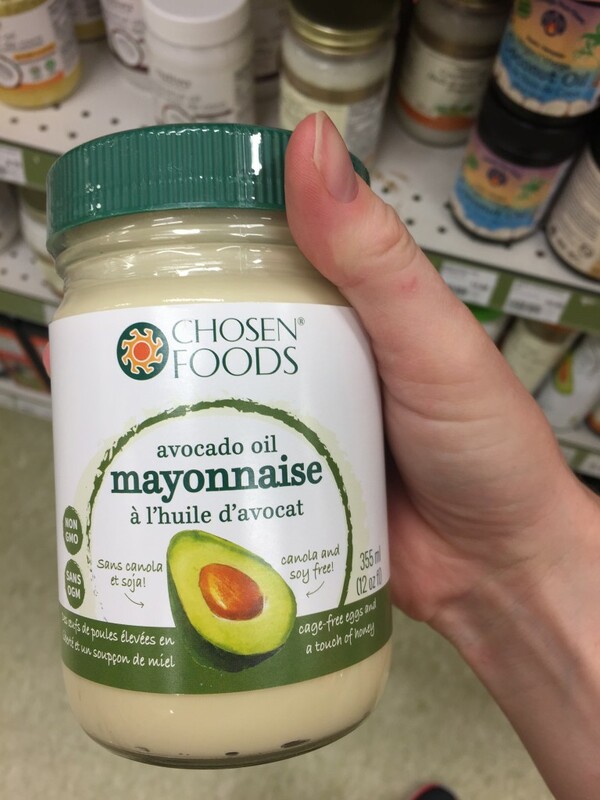 The Chosen Foods mayonnaise is a fantastic mayonnaise that is made with avocado oil and free from any inflammatory oils. The best part? 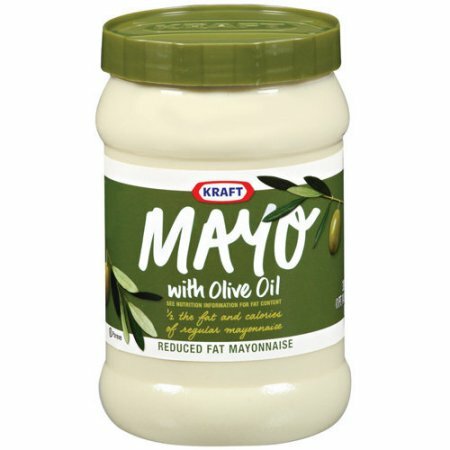 You can now get this mayo at Costco so you don’t have to pay $10 for a small jar from the grocery store! So by this point you’ve learned that the mayonnaise that says “made with olive oil” is not a very healthy option but that the healthier option is WAY too expensive to purchase on a regular basis – so now I have the best news yet. You can actually make you own mayonnaise at home and it is super EASY and delicious! I recommend whipping up a batch of mayonnaise this weekend and using it throughout the week. It will be arguably cheaper than even the cheapest mayonnaise at the grocery store and it will be absolutely the healthiest mayonnaise you’ve ever eaten! Combine egg yolk, lemon juice, vinegar, mustard, and salt in medium bowl. Whisk until blended and bright yellow, about 30 seconds. Blend until the consistency of mayonnaise.Whisking constantly, add 1/4 cup oil to yolk mixture, a few drops at a time (this will take about 4 minutes of continuous whisking). Gradually add remaining 1/2 cup oil in very slow thin stream, whisking constantly, until mayonnaise is thick, about 8 minutes (mayonnaise will be lighter in color). Alternately – you may add egg, dry mustard, vinegar and 1/4 cup oil to the blender and blend on low for 1-2 minutes. Turn blender on, and while it is running, slowly add the remaining 3/4 cups oil. Pour mayonnaise into a mason jar and store for no longer than 5 days. *Recipe makes approximately 1 1/4 cups of mayonnaise. 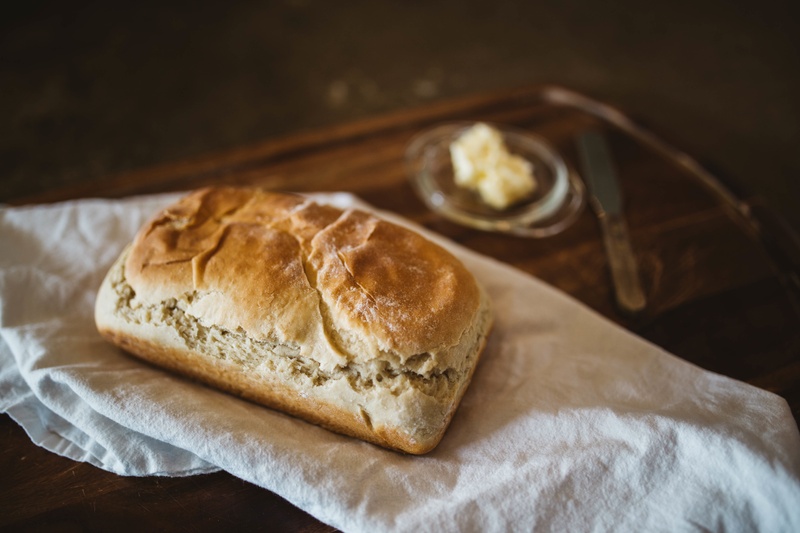 Give this recipe a try this weekend and let me know what you think! It is such a simple swap that can make a big difference in your overall health! Let me know in the comment section below if you’ve tried this recipe or another homemade mayonnaise recipe before!